I just bought my tickets for Death Note. If you are on the Shonen Jump newsletter, you have an email waiting for you. For those of you that are not on the list, just head over to Fathom on the 21st in order to purchase your ticket. If you want to find out if a theater near you is playing the movie on May 20th and 21st, check out the theater list here. If you are in the Jacksonville Florida area, you can find me at the AMC Regency Square 24 Theater on the 20th! Hope to see you there. The new Death Note movie, Death Note II: The Last Name will be shown in theaters on October 15 and 16 at 7:30pm. 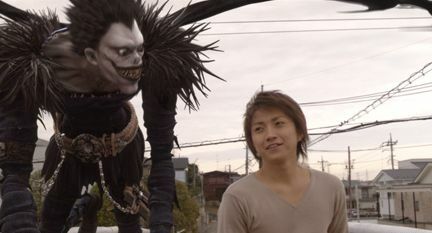 For more information, check out the Death Note movie theater list and ticket information.